Enter Vaultbank, the start-up who seek a way around this. 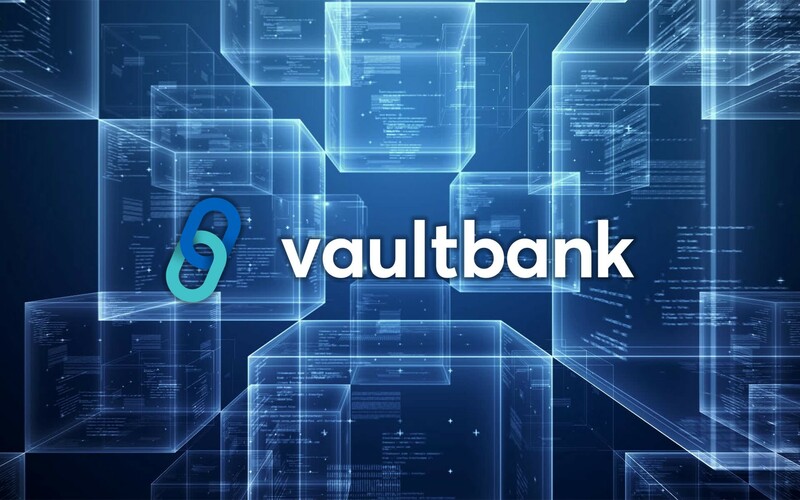 Vaultbank are seeking to implement their new crypto service and security-backed ERC20 VB tokens. Vaultbank’s CTO and visionary, Austin Trombley iterates in an interview with Etheralabs’ Founder, Bryan Feinberg, that Vaultbank wants to lift up the everyday consumer giving them 2x 30-year bond returns on personal debit account USD deposits by combining financial industry expertise, machine learning talent, and revolutionary blockchain technology. Vaultbank.io is different from 99% of ICOs that have taken place thus far because we are filing as a security. Our tokens are a security because they actually represent equity in Vaultbank.io (…) Vaultbank.io will be one of the first to offer Ethereum dividends quarterly. The bulk of this token raise will be invested into a levered credit fund built by the quantitative credit fund. We have partnered with Ambisafe in a horse trade for equity that gives us the code base they have built on day one. We aren’t licensing, it becomes part of our platform and we own it. For volatility, some of the yield that comes from the secured credit assets will go into a reserve, which will serve the sole purpose of buying up Vaultbank tokens during days of volatility in a strategic effort to reduce overall volatility. This is why it was so important to have an investment engine with a track record at the base of Vaultbank. We can begin to mitigate risk because we have the entire supply chain where others do not. Bringing transaction management in-house seems like the natural thing to do; when your project’s scope is to be used for every-day transactions, marginal savings truly stack up over time. Strategic thinking which is also applied to volatility seems like a good long-term effort to preserve investor interests and the longevity of the project. After all, it is what keeps many of us from having a truly long-term investment horizon. Vaultbank also seeks to give their account holders dividends. Many of us today have a gripe with banks; we know the power of borrowing when there is an information gap, and it would seem that Vaultbank attempt to more accurately reward savers (read: lenders) for what is considered by many as a risk. Couple this with an easy-to-use debit card, and hey presto, you’ve got an answer to the question posed at the start of the article: Value is generated through perceived, tangible benefits. And bringing multiple ways of generating benefits can only help the intrinsic value. It will be interesting to see how this one plays out. Vaultbank are seeking to raise capital via issuing ERC20 VB tokens for their ongoing development. Vaultbank will be creating a total of 200,000,000 tokens, valued initially at $1/ token. Early contributors gain access to 15% pre-sale discount, to a cap of VB 20,000,000. Disclaimer: Vaultbank is the source of this content. Virtual currency is not legal tender, is not backed by the government, and accounts and value balances are not subject to consumer protections. This press release is for informational purposes only. The information does not constitute investment advice or an offer to invest. Vaultbank is a global investment firm, committed to sound financial investment and technological advancement, through the use of its Vaultbank Tokens.